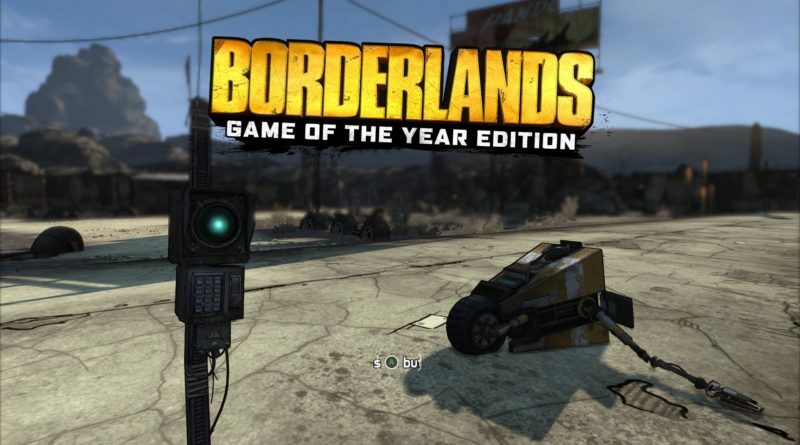 Deaf Game Review – Borderlands: Game of the Year Edition – Can I Play That? About Can I Play That? Submit to Can I Play That? Support Can I Play That? I may have mentioned before that I’m bad at shooters. 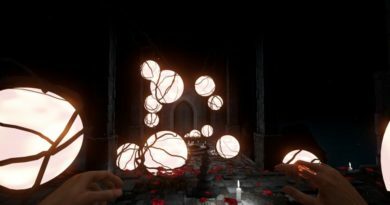 There’s always far too much going on, I’m bad at aiming my gun, and much prefer to be able to stealthily take my time exploring a game world and learning the story. 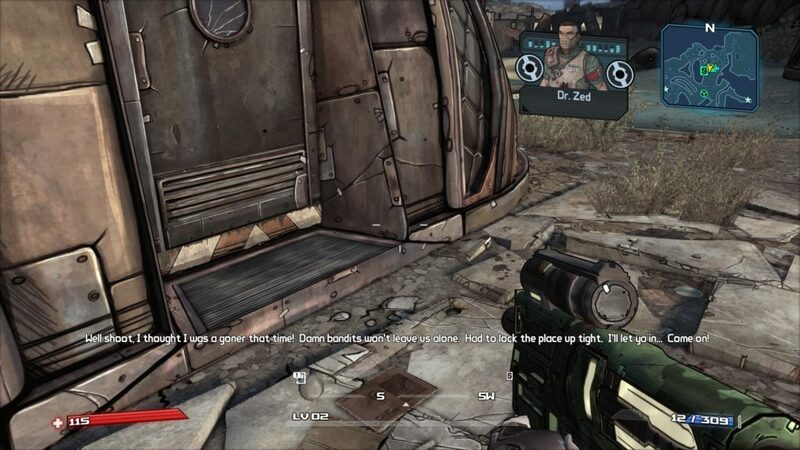 Despite that, Borderlands is a series loved by so many people that I was excited to get to play it myself. 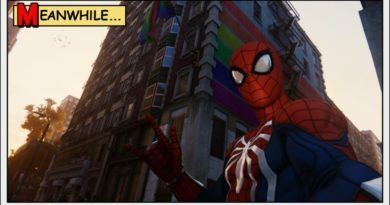 I’ve seen so much talk about the funny dialogue on social media that I was eager to see this for myself. Gotta say, I’m thoroughly disappointed. Why? 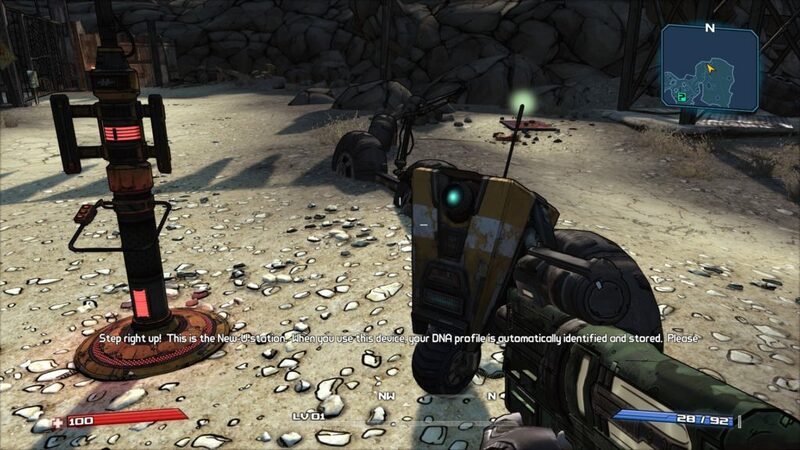 Because that funny Claptrap dialogue is only funny if you can hear or read it and folks, these subtitles are a disaster. 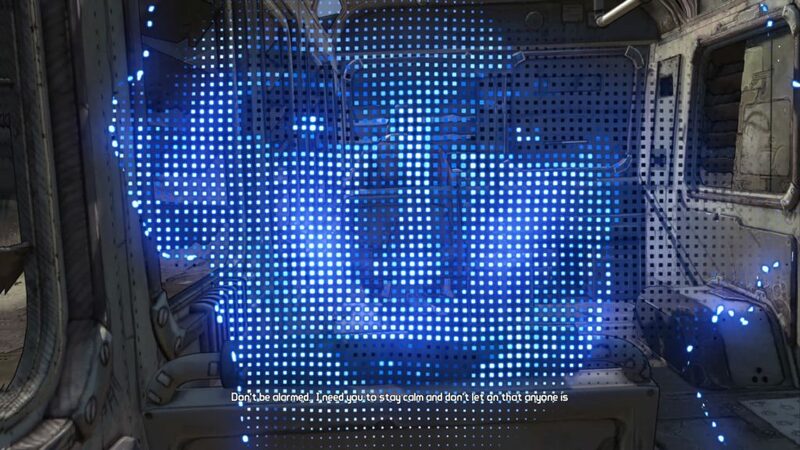 The above image is during the opening cutscene. If you squint maybe you can read them. Maybe. Also note the lack of speaker labels. In-game the subtitles aren’t any better. Still no speaker labels, still horrendous visibility due to spotty contrast. 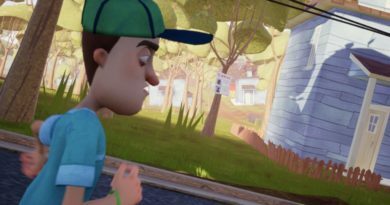 There are some instances in which dialogue appears with an indication of who is speaking but this is only when you’re being spoken to over the radio. The audio settings do nothing to help the matter either. It seems they brought the graphics up to 2019 standards but not any accessibility settings. 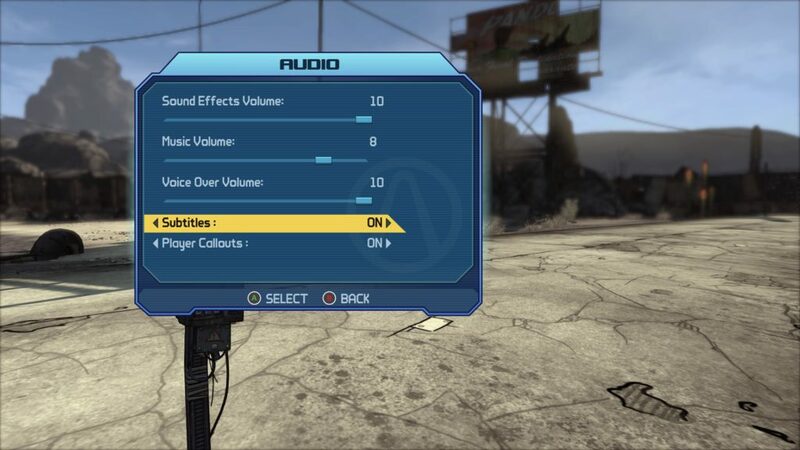 You can turn subtitles and player call-outs on or off and adjust your basic volume sliders. No size options, no background options, no toggle for speaker labels. Nothing we’ve come to expect for games (and remasters thanks to who other than Ubisoft with their AC3 remaster) in 2019. Horrible subtitles aside, the gameplay is nicely accessible thanks to the enemy location indicated on the minimap and their proximity indicated on the bottom compass bar. If you keep an eye on both, enemies will never sneak up on you because unlike many other games, you don’t have to have actually spotted the enemy for them to appear on your radar. And keeping an eye on your minimap and compass bar should prove easy to do since dividing your attention between it and following the dialogue text is fairly pointless since 80% of the time, the subtitles are illegible. 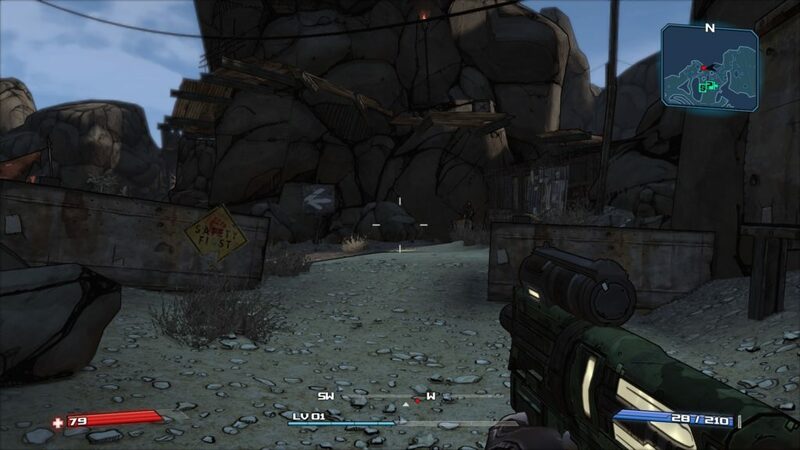 Deaf and hard of hearing players who have no interest in the story or dialogue will have a fine time playing Borderlands. But if you’re looking for the story and rely on subtitles to get it, this one’s a failure. Copyright © 2019 Can I Play That?. All rights reserved.